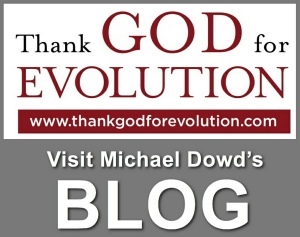 Loyal Rue, Michael Dowd, and Connie Barlow gather outdoors at Loyal's cabin in Iowa to share what too few are willing to discuss: a worldview shift that precludes the possibility of a bright future for our civilization. They begin with readings from "Dark Mountain Manifesto", then pose and challenge one another's ideas for how to speak to young people about the future. Watch this conversation in VIDEO format on youtube. 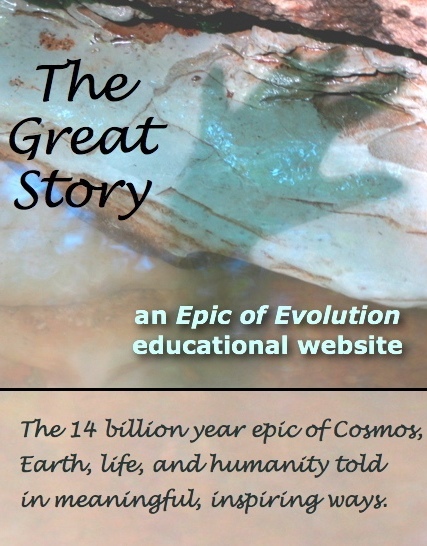 Loyal Rue, professor emeritus of Luther College in Decorah Iowa, published his third book in 2000 titled, Everybody's Story: Wising Up to the Epic of Evolution. 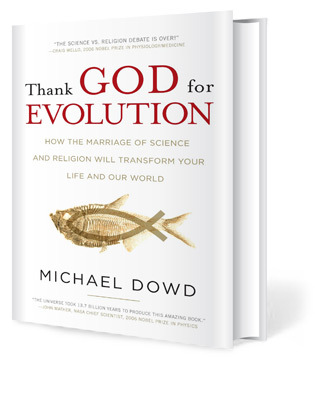 In August 2014, Connie Barlow and Michael Dowd conversed with Loyal about this book: how it is that the global scientific enterprise of science has given us a universally produced and evidentially based story that is not only meaningful but adaptive for these times. View the interview in VIDEO format on youtube: Loyal Rue pt 3: "Everybody's Story"
Loyal Rue, professor emeritus of Luther College in Decorah Iowa, published his second book, By the Grace of Guile: The Role of Deception in Natural History and Human Affairs, in 1994. In August 2014, Connie Barlow and Michael Dowd conversed with Loyal about this book. 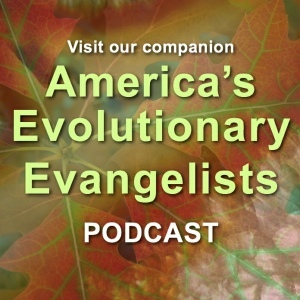 This is the second episode in what will become a 5-part series in the "Inspiring Naturalism" podcast. View this interview in VIDEO format on youtube: Loyal Rue pt 2: By the Grace of Guile. Jan Dash introduces the Climate Portal, for which he is the Managing Editor. The portal is part of the Climate Initiative of the Unitarian Universalist United Nations Office in New York City. The Climate Portal is a massive aggregator linking to reliable information online regarding the science, politics, finance, economics, human and environmental impacts, social costs, and ethics of climate change, along with what we can do and why responsible climate risk management is vital. Chris Henderson is one of Canada's foremost thinkers on innovation in the areas of business, cleantech, renewable energy, and corporate sustainability. 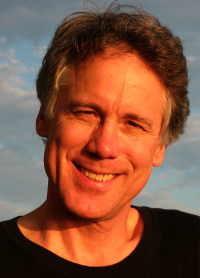 His 2013 book, Aboriginal Power: Clean Energy and the Future of Canada's First Peoples is the topic of this conversation with Michael Dowd and Connie Barlow. Other websites he speaks of are: Excel Partnership, 1000 Solar Rooftops, and 3iSummit: Collaborating for Action in Ottawa. A Canadian television station recorded a superb interview with him on his work with in helping aboriginal communities develop renewable energy sources, available online as video. In this episode we dig beneath the evidence and ideas that support a modern, naturalistic perspective and seek out the patterns and emphases that propel concepts into the realm of inspiring. Our guide is Jonah Sachs, author of Winning the Story Wars: Why Those Who Tell (and Live) the Best Stories Will Rule the Future (2012, Harvard Business Review). As the co-founder and creative director of Free Range Studios, Jonah has helped hundreds of social brands and causes create breakthrough campaigns. His work on legendary viral videos like The Meatrix and The Story of Stuff series have brought key social issues to the attention of more than 60 million people. We have entered "the Digitoral Era", Jonah suggests, in which the best of the oral traditions that supported our ancestors return, thanks to leading edge opportunities of the digital landscape. Deirdre Barrett is a psychologist who conducts research at Harvard Medical School. Her 2010 book, Supernormal Stimuli: How Primal Urges Overran Their Evolutionary Purpose, is the subject of this interview. Here she explores the practical implications of evolutionary psychology for helping us all thrive in our modern world -- despite the Stone-Age instincts we still carry. 8. Shane Dowd: "An Evolutionary Understanding of Gaming Addiction"
Shane Dowd is a 26-year-old physical trainer who is bringing an understanding of evolutionary brain science and evolutionary psychology into his life and into his work of empowering clients. Here he reflects on the gaming addiction that had his grades in high school plummet and that interfered with his social development, but which he finally began to kick halfway through college. Today he advises a 3-step process for overcoming game addiction: First, understand how our evolved instincts can so easily be led astray by the "supernormal stimuli" of our modern world. Second, use that understanding to kindle reverence for your instincts and compassion for yourself and for others who suffer from addictions. Third, honor your instincts and yourself by re-structuring your environment to minimize your exposure to supernormal stimuli and maximize health-giving aspects of life. 7. Paul Kurtz: "Planetary Humanism"
Paul Kurtz is one of the prime movers of the secular humanist movement, including his authorship in 1973 of Humanist Manifesto II. Among his accomplishments is the founding of the Council for Secular Humanism, the Center for Inquiry, Free Inquiry magazine, and Prometheus Books. Kurtz is Professor Emeritus of Philosophy at the State University of New York at Buffalo. In this interview, Kurtz discusses the "planetary humanism" he sets forth in his 2010 "Neo-Humanist Statement of Secular Principles and Values: Personal, Progressive, and Planetary”. See also the 1 October 2010 New York Times Magazine feature on Kurtz, which focuses on the tension between Kurtz' long-standing form of secular humanism and that of the New Atheists: “Closer Look at Rift Between Humanists Reveals Deeper Divisions”. 6. Ursula Goodenough: "The Sacred Depths of Nature"
Ursula Goodenough is Professor of Biology at Washington University in St. Louis. 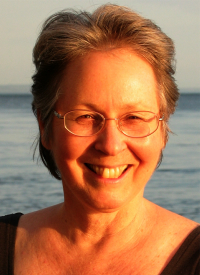 In addition to her technical publications, she is the author of the acclaimed book in the genre of religious naturalism: The Sacred Depths of Nature. 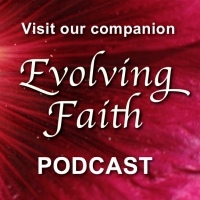 In this conversation, Ursula shares how a purely naturalistic worldview offers emotional and spiritual benefits generally associated with the religious. She also expounds on several key concepts she uses to meaningfully interpret mainstream sciences in soul-satisfying, yet technically rigorous ways: awareness, emergence, assent, and her personal "credo of continuation." At Washington University she was a founder of the interdisciplinary course, "Epic of Evolution." 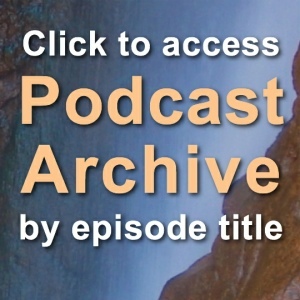 The podcast hosts focus a portion of the discussion on the paper she coauthored with neuroscientist Terrence Deacon, "The Sacred Depths of Emergence." We also highly recommend her 2005 talk at the Skeptics Society: Video: "Brain, Mind, and Consciousness".